Stephanie Yau is the newly appointed Rare Disease Project Manager. In her first few months, she is looking to speak to as many clinical teams as possible about a new initiative to develop rare disease research across MFT. If you want to find out more read the below blog or contact Stephanie on 0161 276 3835 or Stephanie.yau@mft.nhs.uk. A rare disease is characterised as one that affects fewer than 1 in 2000 people. There are over 6000 different types of rare disease and approximately 80% have a genetic origin. 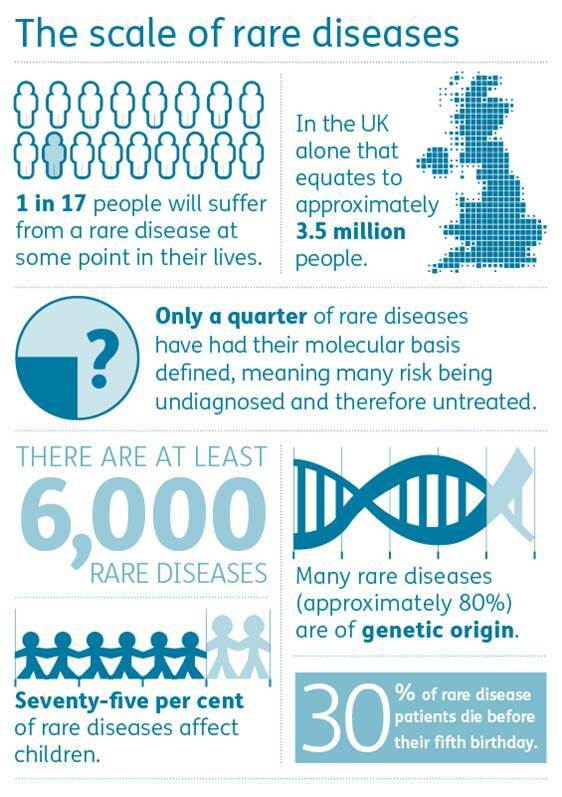 Despite being described as rare, around 3 million people in the UK are affected by a rare disease, and 1 in 17 will have a rare disease at some point in their lives. However, many patients do not have access to appropriate treatment or information about their conditions. More alarmingly, many conditions have no known treatment, meaning there is a big potential for research to make a different in this area. With this in mind, a new initiative led by Professor Neil Hanley, Group Director of Research and Innovation at MFT will focus on expanding rare disease research across the Trust. In my new role as Rare Disease Project Manager, I will be bringing together all of our expertise within rare diseases and illustrating our combined research strength and size. I’m looking to speak to as many people as possible about our rare disease cohorts. Rare disease touches upon almost every specialty across MFT. There are already areas, such as our genetics department, who are leading the way in rare disease research. Now we want to embed this across all our hospitals and clinical services at MFT. By encouraging more clinical teams caring for patients with rare diseases to conduct research, we can strive to provide those living with these conditions the highest possible quality of evidence-based care and treatment rather than just condition management. We can build on the benefits of MFT’s size and range of services, clinical expertise and infrastructure to strengthen the untapped opportunities in rare diseases research in our Trust. Our first aim is engage with as many clinical teams as possible to discuss rare disease research opportunities and the benefits of getting involved. By increasing our research activity, we will be able to attract more investment and collaboration into the area of healthcare, pharmaceutical and life sciences industries and ultimately give our patients more opportunities to be the first to try new treatment pathways. I am currently meeting with various people and teams working in the area of rare diseases, to build up a picture for how we are working together in this area and how we can develop a cohesive approach to rare disease research at MFT. I am connecting with people in the life sciences industry to conduct some horizon scanning, to find out more about their strategies and areas of investment going forward. Both these pieces of work will culminate in a rare disease workshop in 2019, showcasing MFT’s strengths in rare disease. Interested in rare disease research? We’re looking to work with consultants, nurses, midwives, allied health professionals and research teams across the Trust to map out our rare disease footprint. Please get in touch with me if you are interested in this initiative, or if you are aware of rare diseases work in your department. Tell me what you would like to do in rare diseases research, and what the Trust needs to do to improve our profile in rare diseases research. “MFT has a very diverse range of rare disease clinical practice and research. I am excited by this appointment as a key strategy for pulling together all our opportunities and infrastructure in a new cohesive way.